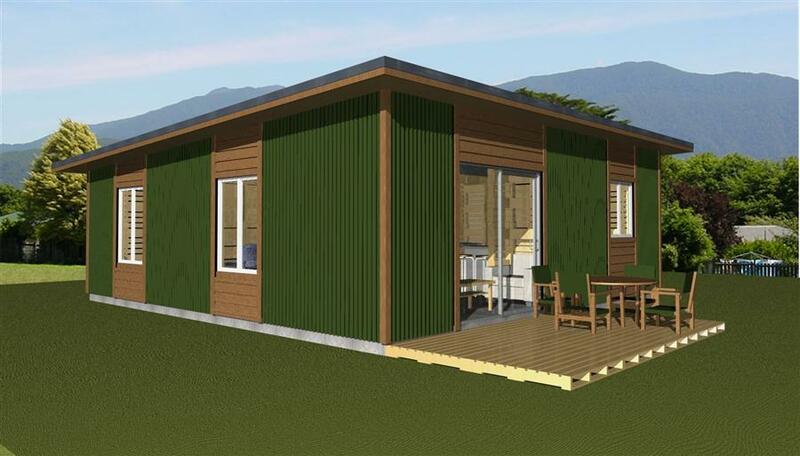 This modest home is designed as a minimal solution for those wanting a mortgage free home they can build themselves from waste materials, when the family grows it is a simple matter to add on more rooms. 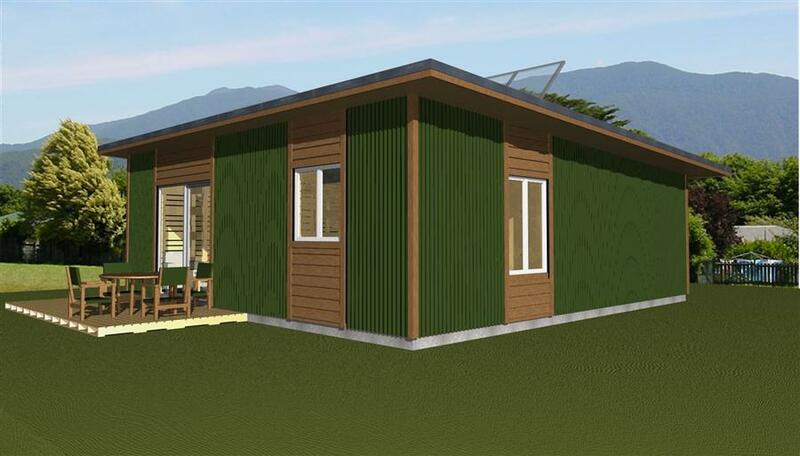 This example utilises an insulated concrete floor to maximise passive solar heating when the home is oriented to north, but it can just as easily be built on a pallet structure floor also. All the walls are one pallet thick which provides for R2.2 insulation levels using waste polystyrene packaging material or insulation off cuts from other building sites. The roof has a double layer of pallets to increase roof spans and to allow up to R4.4 levels of insulation. This is a plain design to maximise cost and space efficiency, other more elaborate designs are also possible using this unique building system. 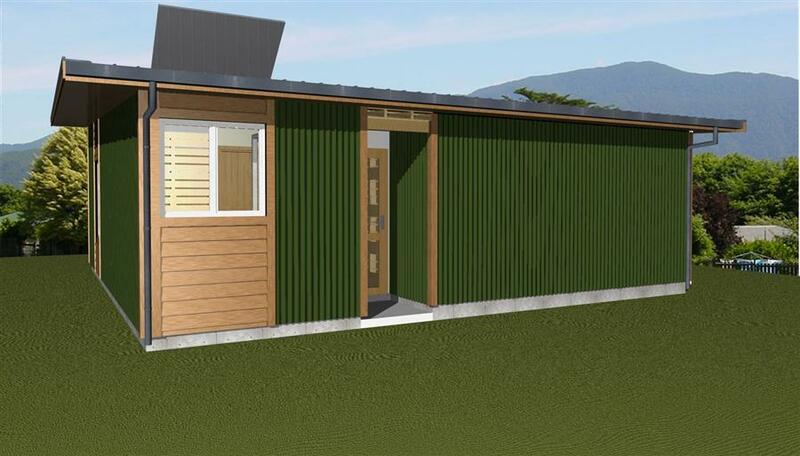 Note that Solabode Ltd endorses the NZ Building Code and all projects and designs comply with the performance requirements of all the relevant clauses, such as H1 Energy Efficiency and E2 Weathertightness. Only B1 Structure and B2 Durability employ Alternative Solutions to the clauses’ performance requirements and these solutions form the basis for making building with waste shipping pallets a viable option. are all examples of what is possible to build from pallets and recycled materials.